Tell me about yourself. What got you started in writing? I’m 36 and currently live in London. I wrote my first story aged 7 because I was obsessed with Jessica Fletcher from Murder, She Wrote and asked my parents for a typewriter for Christmas. The first story I wrote was a rubbish murder mystery but I enjoyed writing and kept at it. 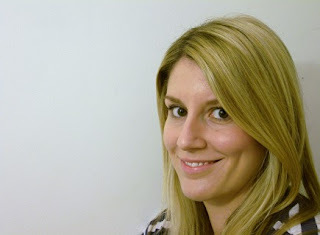 I studied broadcasting at University, worked in TV for a while and then enrolled on an MA in Screenwriting in 2007. On the course, I wrote a feature film that I then turned into a children’s book – For the Record – which (after many rejections) was published in 2011. How and where do you write? Do you prefer a laptop or some other method of getting your words down? When I’m in the initial stages of plotting and planning and just thinking about what the story’s about, I’ll use a notepad and pen. I like mind maps – thinking of the title or keywords to do with the theme I want to write about and explore from there. I’ll then write a 4-5 page synopsis of the story on my laptop, before sitting down to write the first draft, which I also do on my laptop. I prefer a laptop to the computer as it’s portable. I like spending time writing at the Royal Festival Hall or the National Theatre, or even just my local Costa. I like getting out and about most days. What's your favorite part of writing? Your least favorite part of writing? My favourite part of writing is playing around with the initial idea. Once I’ve got the germ of what the story’s going to be about, I love thinking about all the different directions it could take. At this point, it’s the best idea ever and a guaranteed bestseller! My least favourite part is when I sit down to write the first draft because getting to the end is like pulling teeth and I realise that the book is never going to match the perfect idea that I have in my head. But you get through that – get to the end of your first draft and then rewrite, rewrite, rewrite. It’ll come good again. I’m obsessed with space and often bore my husband with facts about meteors while he’s trying to watch the football. I’ve wanted to write a story about space for years. As I was researching the theme, I discovered a lady called Jocelyn Bell Burnell. She was an astrophysicist in the 1960s and was the very first person in the world to discover radio pulsars. Her boss used her findings in his own research and went on to win the Nobel Prize for it. Jocelyn Bell Burnell did not. So I wanted to write about this injustice. I decided to broaden the scope of the story from space to science and inventing, and thus the character of Matilda was born. To give an idea of how long it took – I came up with the idea for the story in September 2015, wrote the synopsis in November 2015 and the book was published in July 2017. So all that time! 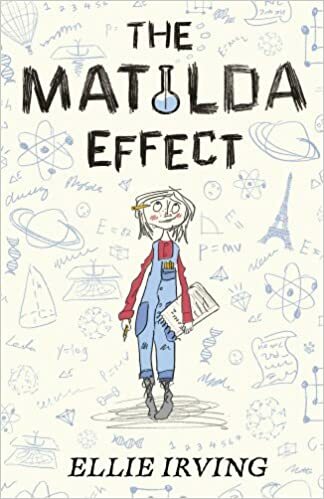 As well as the normal outreach to schools about visits where I can promote the book (and The Matilda Effect plays well in schools, being all about STEM and promoting girls in STEM, too) I’ve done a couple of science festivals, have written articles in magazines, had national newspapers pick The Matilda Effect as a top read, and used social media and bloggers to help spread the word. At this point in time, I’m currently working on a book for a slightly younger age range, 7-9s. I’m halfway through the first draft at the moment, so there’s still a long road ahead. As well as writing books for children, I have an idea for an adult novel and a play that I’d like to pursue at some point. It’s just a matter of finding the time to write everything! I sought out a network of like-minded individuals – a writer’s group – who would offer support and constructive feedback upon reading my work. I’d recommend joining a local writer’s group and asking for feedback. BUT – you don’t have to agree with everything someone tells you; remember, it’s YOUR story. Hold on to the essence of what you want to write – remember why you started writing the story in the first place. And remember that EVERY SINGLE PUBLISHED AUTHOR will have had (multiple) rejections before they became published. So keep going! I have a question about research – how important do you think it is for your story? Or is just using your imagination enough? I remember when I was working on my first mystery. My editor told me that I should never guess on something, but should look it up. Someone was bound to discover the falsehood if I didn't. Sure, using your imagination is great, but in a mystery, you need to know how people really die, and if this poison or this murder weapon will work for your story. If you're writing a fantasy, you need to know if the planet you've created will work with the light source you've envisioned. You need to know about the setting, backwards and forwards. If you don't know about the place you're writing about, research is needed. And in nonfiction, you need to research the topic to make sure you've covered everything. You need to make sure that what you've written is accurate, and that you have sourced everything you end up using. Small Business Saturday: Who are you supporting? Last Day of the Battlecreek Boutique! Tie Died is FREE Today!